Home » Hall of Fame » Major Rudolf Anderson, Jr.
Major Rudolf Anderson, Jr. was born in Spartanburg in 1927. His family relocated to Greenville, and in 1944, he graduated from Greenville High school. After earning a degree in textile engineering from Clemson Agricultural College in 1948, Anderson worked briefly in textile manufacturing. He joined the U.S. Air Force in 1951 and graduated from flight school in 1953. Anderson was assigned to the 15th Tactical Reconnaissance Squadron, based at Kimpo, Korea, where he flew the RF-86 over the denied territories of the Soviet Union and China. He earned the Distinguished Flying Cross with two bronze Oak Leaf Clusters. In 1957, Anderson was selected to fly the top secret, high flying U-2 reconnaissance plane, often flying at altitudes higher than 72,000 feet for extended periods of time. During the 13 days of the Cuban Missile Crisis, Anderson made the second U-2 flight over Cuba on October 15, 1962. His photographs showed additional new ballistic missile sites under construction. The first mission over Cuba by another U-2 pilot was the previous day, October 14. As the tension between the Soviet Union and the U.S., additional pilots were assigned missions in the U-2s, and additional missiles and their state of readiness were uncovered. On October 25, Capt. Eugene “Jerry” Mcllmoyle was flying over Banes, Cuba when two SAMS were fired at and narrowly missed his U-2. The U-2 missions were halted for the next day, and Major Anderson volunteered the following day, Saturday, October 27, 1962. 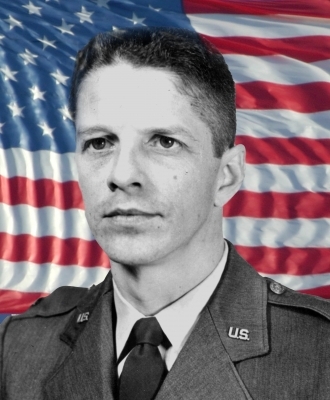 It was on this Saturday that Anderson, while believed to be flying above 72,000 feet over Banes, Cuba, was killed and his U-2 destroyed as two SAMS detonated. For his supreme sacrifice, Major Anderson was awarded the first Air Force Cross, the Purple Heart and the Cheney Award.